The Chinese use a plant they call wintergreen (Pyrola rotundifolia), Chinese name is Lu-ti-ts’ao. Used to staunch bloody wounds, applied to dog bites, snakebites, and insect bites. Used as a flavoring for vermouth. Used to flavor toothpaste. It is one of the most commonly used ingredients, worldwide, in analgesic oils and balms. 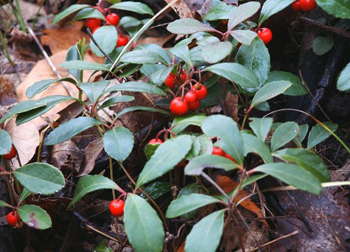 Essential oil (methyl salicylate) in leaves is synthetically produced for “wintergreen” flavor. Experimentally, small amounts have delayed the onset of tumors. Candy and chewing gum flavoring; perfume, liniments.